Flying Weight: 45- 50 oz. This Carl Goldberg Electra was my first foray into electric-powered RC flight aside from a powered glider (Great Planes Spectra). It used a direct-drive .05 electric motor with an 8-cell, 1200 mAh NiCad battery pack. The beast was heavy and flew very fast - too fast in my opinion to really call it a trainer. It handled well, but was certainly not the "floater" that I thought it would be. 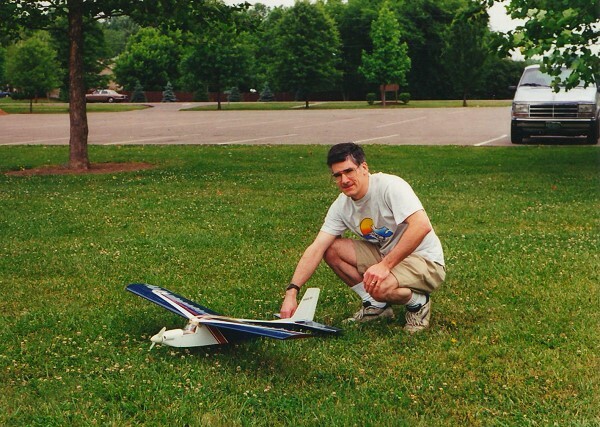 I planned to use it for giving Philip some stick time on something other than a glider, but instead I flew it a few times and sold it to a nice guy at work.